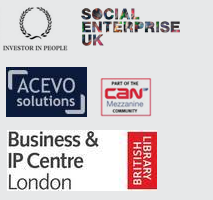 Branduin Business Support in partnership with Hounslow Chamber of Commerce and Brentford Chamber of Commerce are proud to announce a new programme of free training and mentoring support for small businesses in the London Borough of Hounslow. Please note the programme offer applies to businesses in the London Borough of Hounslow with less than 10 full-time employees in the ICT & Digital, Media & Broadcasting, and Cargo & Logistics sectors. For more information email or visit the website. Published: February 22, 2017. Categories: News.